Dubai, UAE, October 08, 2018: In honor of breast cancer awareness month, Health Shield Medical Center will partner with leading medical equipment distributors Dansys and Samsung to bring free screenings to the female residents of Abu Dhabi on October 9th. The multi-specialty healthcare facility operated by private integrated healthcare group, Capital Health, will also celebrate women by paving a path to wellness through complimentary 3D/ 4D ultrasounds and revolutionary Regenlab PRP gynecology treatments. 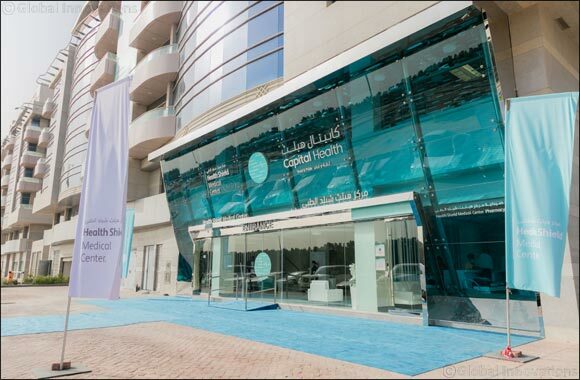 Health Shield Medical Center is just one of the facilities that Capital Health has developed in line with UAE Vision 2021 and Plan Abu Dhabi 2030. With a strategy to pioneer new healthcare models, patients will be provided with the best quality care possible from Capital Health. As spots are limited, residents can take part in Health Shield’s Instagram competition to win a Regenlab PRP gynecology treatment worth AED 2,000.